Mom and I talked about the Isaac and Leah Fall house in Hartville. I didn't realize that they had moved there before Mom was born. Isaac was in bad health, rheumatism. She told me that they had small barn out back where they kept a horse and buggy. They never had a car. There was an out-house on the south side of the barn and a covered grape arbor going through the lawn towards the barn. (All houses in Hartville had out-houses in those days.) Hartville School was not built until about the 1930s. There was a big woods back there. After her grandfather died in 1925, Verna came back from Kansas and stayed with her grandmother. She also did nursing. After her grandmother died, they sold everything. She thought Verna went back to Kansas for at least a little. She also stayed at Kate Shoemaker's place in North Canton when they went to Florida. (I remember visiting them in NC a couple of times as a kid. The house is still there on South Main. It is a big Victorian place. I remember it being very dark inside, full of lace, pictures, etc.) Ultimately, she got married to Ollie and they lived south of Canton. I remember Ollie. I think he was kind of odd. More info on the Isaac Fall family: Apparently Herb Fall also lived in Alliance. He worked for some company there. Mom didn't know what it was. He had two daughters, Catherine and June. She didn't know what Ed Fall did for a living. Byrril (sp?) was apparently a house painter. 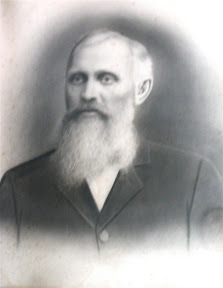 John Fall worked at the Hoover Co. Ed Shoemaker's oldest son took over the lumber co. The middle son was mentally impaired. He ultimately ended up at Chapel Hill Nursing Home. The youngest son may have also been impaired and drank a lot. As for Sam Brumbaugh's family. They also were apparently close. Mom said that relationship ended earlier with the death of Sam when she was still pretty small. 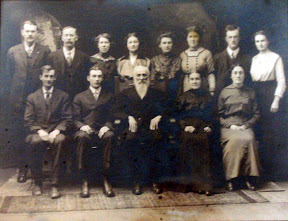 Grandpa had 3 siblings, Verna, Jenny and Ira. Verna was married to Israel Steffie. They had 3 children, Leon, Melvin and Clarence. Leon and Melvin were mailmen. Clarence worked for the Alliance Review newspaper. He was married to Freda. I seems like Mom was fairly close to Clarence's family. Interestingly, We apparently do not have any pictures of the Sam Brumbaugh family. 2/27/07 Today Mother and I went to Madadore and the area around it. The road North has a number of names, but the most noted were Portage Line Rd and Cleveland Ave. These roads took us right into town. We turned left on Albright Rd and the Springfield Church was on the left about a mile down the road. The cemetery is across the street. There was too much snow to go through the cemetery. As we drove b y saw the name Eby on a gravestone. Then we drove through downtown Magadore. It is a pretty small downtown. The main building appears to be an old hotel, that appears to be operational. Railroad tracks run through town - they come from Hartville. On the way back out of town, we took Magadore Rd, which started out to the East and then turned Southeast and ran into Rt. 43 just south of Magadore Dam. According to Mother, Isaac Fall lived off of Magadore Rd. West of where Magadore Dam is located . The land that they owned might be under the lake. Mother said that the road off of Magadore Rd. was a very narrow hilly road. She went with Effie Brumbaugh to see where it was. The Dam was there, so the land must be above the water line. Isaac Fall moved to near where mother grew up on Pontius Rd - the Failer Farm (potato farmer). Would be on the north side of Quail Hollow State Park. They sold the farm and moved into Hartville. He had really bad arthritis and could no longer work on the farm. Mother remembers Isaac Falls funeral. It was on a Sunday in Janurary and it was really cold. Mother was just getting over the chicken pox. The following account of the tragic death of Margaret Kern, the daughter of Henry Kern, son of John Yost Kern, has been taken from the family history, History of the Gift, Kern and Royer Families. On page 105 the only mention of Margaret Kern is as follows. 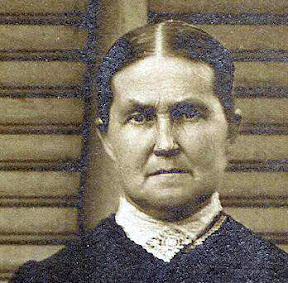 "Margaret, married to George Fall, died in Marshall Co., Indiana. The circumstances of her lamentable death were as follows: She was engaged in general house work and while making a bed her son was outside of the house loading a rifle. The gun was accidently discharged through a small opening of the door which had not been entirely closed; the ball entered her body in the region of the heart and she died almost instantly." The book is conspicuous in it's absence of any further detail concerning Margaret and George's children and their families. Details are abound for all Kern relatives up to the publishing of the book in 1909. 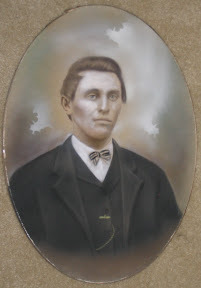 Scant information concerning the family, after the accident, can be put together from Federal Census reports, Military Service records and stories handed down through one of the sons, Isaac Fall. It is believed that Isaac and James Fall were dropped off in Summit Co, Ohio by their father with friends or relatives on his way back to Pennsylvania after the accident. 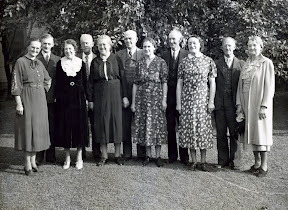 Leah Fall is the 4th in from the left wearing the bonnet. 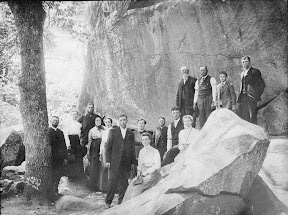 She and her group are posing for this picture at Devil's Den, Gettysburg Battlefield, PA. Leah's husband Isaac Fall was at the Civil War battle at Gettysburg in 1863. They attended the 1912 Church of of the Brethren Annual Conference at York, PA. After their visit to the Battlefield, they returned by train to the Hartville, Ohio area.